For years we’ve been able to see differences between a healthy brain and that of a person who’s been diagnosed with PTSD. But can we detect differences within a population, all of whom have experienced traumatic events? And if so, what could that reveal about why some people develop PTSD while others don’t? Dr. Samantha L. Anders and a team from the Brain Sciences Center at the University of Minnesota wanted to pursue an emerging line of research into whether traumatic experience could actually strengthen brain function. You see, some trauma survivors actually report positive psychological changes following painful or even life-threatening incidents. For example, some survivors of a brain injury or assault report greater feelings of strength, improved relationships with loved ones, or deeper appreciation of life. To date, researchers have relied solely upon self-reported measures of positive psychological changes. Anders and her team wanted to see if they could find any neurobiological evidence to support claims of posttraumatic growth. They designed an investigation that recruited as participants 299 US veterans who had been exposed to traumatic events. This sample included 106 veterans who had been diagnosed with PTSD. The control group included 193 veterans without PTSD. 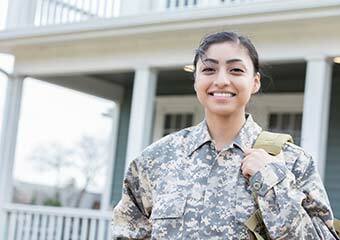 Participants completed diagnostic interviews as well as questionnaires that assessed their exposure to trauma, presence of PTSD symptoms, and reported posttraumatic growth. Using these instruments, the researchers calculated a ratio of posttraumatic growth per lifetime trauma for each participant. They also employed magneto encephalography (MEG) imaging to see if they could detect brain activity they could associate with self-reported measures of growth. While there were no significant differences in self-reported posttraumatic growth between the two groups, the amount of reported growth per trauma was higher in the control than the PTSD group. Sanders and her team also saw evidence of modulation in neural activity in the control group but not the PTSD group – especially in the medial prefrontal cortex. Now we know that this region of the brain is associated with tasks such as executive control, reward-guided learning, and decision making about risk, reward, and memory. So what do these findings mean in terms of understanding how the brain processes trauma? The differences in neural activity levels between the two groups could provide an important clue about why some people develop PTSD following trauma while others don’t. The researchers suggested that the lack of modulation in activity in the PTSD group could be related to neural networks getting stuck in tasks related to processing and encoding fear. That “stuckness” could, in turn, limit a person’s ability to integrate and process trauma in a way that could lead to growth. While these results are fascinating, some interesting questions remain unanswered. For example, we don’t know if the differences in prefrontal cortex activity between service members existed prior to their exposure to traumatic events, or if they reflected the brain’s attempt to adapt to trauma. In order to more fully investigate how veterans’ brains process traumatic experience, you’d wish that we could compare images of service members both before and after their active duty. But a study of that scope would be cost prohibitive. had hoped, it remains interesting and potentially useful. 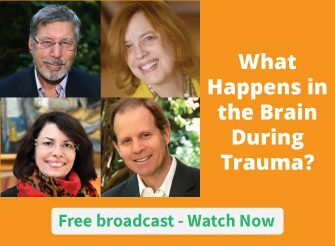 A deeper understanding of the neurobiological impact of traumatic experiences can help us choose more targeted interventions in working with patients. The complete study was published in Experimental Brain Research, volume 233. Have you found instances of what could be called posttraumatic growth in you work with trauma patients? Please tell us in the comment section below. I am impressed, I must say. I hope you are making cash off this website awesome insight. what I needed. I most undoubtedly will make sure to don?t disregard this site and provides it a glance regularly. Glad to see some research being done in this area. Thx for reporting on it. Hope more is funded. I have had the honor of experiencing some of the most profound changes in veterans (and others) with what is clinically diagnosed as PTSD. (A moral injury at core that has become research able through modern science technology by “seeing” the nervous system changes in the body, for example.) Profound positive changes, as subjectively assessed by self and others in what might well be called the abilities related to knowing LOVE, seeking connection and the expression of LOVE, in relationships and community. Daily living and skill development in expression of their knowing is the practice and “re-wiring” opportunity; and patience with the body practicing this is the tough part. And well worth more research to support success for more people. Thanks again, Ruth and all. When I first approached counseling, I was told that there was no cure for Shell Shock which was what PTSD was called for many many years. I was told we could work around the trauma and get to a place that would offer me comfort and maybe a good life. enjoy a partial happiness in life. Until I started actively working with the Shell/PTSD has my life really turned around and now includes Joy and Satisfaction. The more I read and the more I process, I conclude that PTSD, in it’s worst-case scenario, started in womb-time through age 2. It caused me to DEFAULT to parasympathetic freeze states until my mid-late 50’s and then later, to proceed to experience sympathethic system somatic flashbacks with pain. Hyperseneitivity from the beginning of life makes later shocks MORE SHOCKING. Now, as I begin to name fear states (like paranoia and delusion), as they are happening, neither dissociation (I don’t think!) nor full-blown flashbacks occur. Now it’s vigilance or restlessness that continue. And I now begin to have the where-with-all to research the validity of fear states, or lack. Ruth, I can’t find the study in the edition you mentioned. Could you post the exact title of the study/article/chapter, please? The title of the article is Neural Coomuniation in Posttraumatic Growth. Thank you for continuing to present valuable information about trauma and healing techniques. I experienced significant on-going domestic violence from childhood through adulthood. That resulted in many years of struggle with multiple addictions. An ardent recovery process based on a commitment to psycho-spiritual work over many years has resulted in freedom from all addictive/compulsive behaviors, and deeper compassion and empathy for my self and others. I also have a greater level of awareness and understanding than most. My value system has changed dramatically as I put less importance on externals and more on personal evolution. This conscious and deliberate choice to change and the resulting rewards make me an excellent role model with the ability to be of help to others. What I think is sorely missing in this study and many like them is to control for adverse childhood experiences! Taking into account the vast body of research on this, PTSD after combat on the basis of a secure childhood will very likely produce different results to a basis of childhood trauma. Especially when we research brain function because childhood trauma, especially early and chronic trauma done by caregivers has been shown to have very adverse effects on brain development. Among other areas it’s the prefrontal cortex with all it’s executive functions that is strongly affected. I wish PTSD research like this would start to take the research and effects of adverse childhood experiences seriously, stop looking the on way and start integrating. I have noticed in my work, the search for meaning, that a certain level of spirituality (whatever that is, or any individual as long as it is something higher than self) has always been the core strength that’s driving resilience. Without this transcendental and existential quality to one’s life and without one’s ability to place meaning out of any tragic experiences, it seems to always lead to psychological paralysis and immobility (or what we seldom call as “being stuck”). Karla MacLaren, author of “The Language of Emotions,” posits that all human emotional growth is initiated by some level of trauma. The type of growth or dysfunctionis directed in major ways by the level of ‘resolution’ they are exposed to. (Mom kissing ‘ouchie’ vs. returning Vietnam vets being spat on). MacLaren gained her earlier insights by intuitively surviving trauma and later seeking advanced eduacation. Both she and Mary Ellen Copeland have greatly influenced my recovery from early childhood trauma which led to substance abuse and depression. I wonder if an examination of their experiential findings might guide some serious scientific inquiry. Their thinking might just be the finger pointing at the moon. Excellent idea to use the ACES score as a variable. Even if before/after imaging study would be cost prohibitive, i would be curious to know more about the histories of the two groups in terms of exposure. Maybe just a simple ACES score might narrow down the target population to be studied in terms of before and after. Then maybe you’d be getting closer to being able to predictate who is at risk and actual prevention of development of PTSD. I have found Five Element Acupuncture to be a good way to remove old trauma from the body. I studied acupuncture for five years, and an certified to do this older more traditional form of acupuncture . It is being used for Vets in some American cities. Layers of trauma are removed from the body, and I have seen first hand the positive effects on clients who have had physical mental and emotional trauma. As for trauma strengthening the brain, according to new brain research , just by dwelling on a positive event for 30 seconds in a day, the brain requires toward a more positive outlook, so anything is possible. Thank you so much. Any theraputic articles concerning PTSD and the changes in the brain that will help in recovery are much appreciated. very interesting. Wish we could have the PRE-trauma data. Thank you. As to my experience with clients, who experienced early trauma or have even traumatized parents, these are items with a high predictability for PTSD, and these items as well as bonding experiences and close relationships before the traumatic event might be part of a questionnaire. And – if I’m not misinformed, there are yet a lot of studies, which show the incidence of these parameters to build resiliency. In my work I am happy to see even in clients with a very bad childhood, that extincting once the sting of trauma – I work with the “trauma buster technique” – opens the door to great personal development. I am interested in the “trauma buster technique” you use. Would you share more? I too am interested in the “trauma buster” therapy. Could you share a link etc? Thanks. Also the work Dr Daniel Siegel has reported on re: developmental attachment & the AAI seems relevant. My personal experience is of much growth / breakthrough following a very painful loss. This has happened more than once. And just a few days ago, a friend was telling me about how a massive breakthrough to being able to feel the love coming to him happened with an experience of both intense physical pain and very negative diagnosis. So again, from trauma to breakthrough. It is my sense that, for some people, trauma can open us at places we have been stuck / blocked, even for decades. Almost like a bomb breaking down a wall. Yes, I take my own experience here as an answer. As a child survivor of WWII (born 1937) with my parents being Nazi´s, I had the typical PTSD symptoms, even as a counselor, which I could hide more or less for my environment. When in the ´70ties more became known about emotional healing I dove right into it. Since then I have seen remarkable growth in my own capacity to be more transparent. I have always had a great resilience which helped me to dive in the most complicated counseling situations and some was able to help these clients. Thank you Ruth for sharing this! Yea it was of importance for all carw giver ti understand it well. 2 of my colleagues are also part of participation in your talk. We will follow it uo and also do research on in Amity Univ. Prof. RCDeka, Amiry Univ. India . Ttauma at any age does affect the brain but it also strengthen our ability due to our brain development and to accept challenges and change of our environment and behaviour in society. Yes I have. After using Sensirimotor Psychotheraphy a patient of mine reported that first time in 60 years did not experiences panic attacks. She also reported that she is no longer holding her personal boundaries so tide that nobody can came close. She reported much improved relationship with her children. What is the protocol for me sendorotor tgerapy?